KYIV. Sept 1 (Interfax-Ukraine) – The Smart-holding industrial and investment group has invested over UAH 150 million in the upgrade of infrastructure of the Amstor shopping center chain. “In September, Amstor launches an updated shopping center in Berdiansk… In the near future we plan to open a shopping center in Severodonetsk. We hope to return 11 shopping centers, which are currently located in the uncontrolled territory of Ukraine. All the shopping centers were restyled. The network seeks to add recreational infrastructure to routine weekly shopping,” Public Relations Manager of Smart Holding Viacheslav Rzheutsky wrote on his Facebook page. According to him, today Amstor Retail Group LLC, part of Smart Holding, has managed to fully restore the operations of 13 out of 38 Amstor shopping centers operating before 2013. The anchor tenant of the renovated shopping centers is supermarkets Silpo of Fozzy Group. 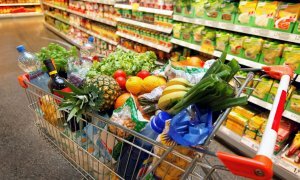 Director of Amstor Retail Group LLC Oleksiy Pashunov said in an interview with the Association of Retailers of Ukraine that two years ago the company completely left the grocery retail and concentrated on property management. According to him, all the facilities of the Amstor network are located in the eastern and central regions of Ukraine, and their total area is more than 170,000 square meters. The total area of the renovated Amstor shopping center in Berdiansk will be about 12,000 square meters and with a parking area for 500 cars. KYIV. Sept 1 (Interfax-Ukraine) – Arca Industry Ukraine, the subsidiary of Czech Arca Capital, has signed a trilateral memorandum with Ukrainian-Polish enterprise with foreign investment UPS (Dnipro) and Investment Service Ukraine (ISU). 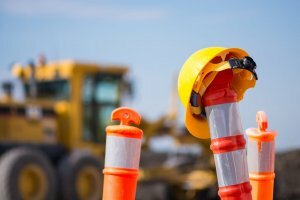 According to their joint press release, the scope of the memorandum is consolidation of efforts aimed at uniting assets and facilities of 11 Ukraine construction companies on the basis of UPS and joint operations of the memo parties in construction of roads, highways and other infrastructure facilities all over Ukraine. Czech investors have plans for next year. They want to build roads for EUR 150 million, increase the road construction machinery fleet by 100 units, employ 300 workers and modernize production facilities. “We are interested in the start of durable and fruitful business relations with a group of Ukrainian enterprises, as we know that infrastructure development and new logistics opportunities is a top priority issue of the state. We are determined to invest into operations of the group of construction companies, Director Arca Industry Ukraine Pavol Krupa said. He said that the audit has been started. It will last for three months with the involvement of international audit company Kreston GCG. The negotiations with the European Bank for Reconstruction and Development (EBRD) on the additional financing are being held. It is planned to have consultations and design proposals on joint implementation of cooperation. “At the stage of cooperation with the Czech company, we plan to expand and acquire at least three mobile asphalt concrete plants. Our Czech partners are ready to share their experience and latest developments and technologies in the construction of roads, bridges and other complex engineering structures within our cooperation. We are also discussing the provision of the technological process with better environmental friendliness,” a representative of UPS Taras Paliy said. KYIV. 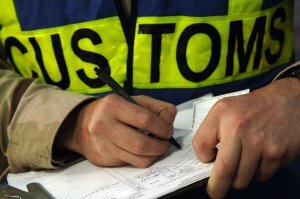 Sept 1 (Interfax-Ukraine) – The Finance Ministry of Ukraine intends to expand the “one face to the customer” approach to the transactions of moving goods in all customs modes and make some other changes to the operation of the system from February 1, 2018. According to a posting on the website of the ministry, the draft resolution will be presented to the government next week. Today the “one face to the customer” approach applies only to import and export transactions, the ministry said. It is planned to expand the system to regular customs declarations and previous declarations that contain the full amount of data, while the system now applies to a limited number of customs declarations for imports and exports, the ministry said. According to the release, the innovations will also allow reducing the number of scanned documents, since the necessary information will be received from the previous declarations. In addition, this will shorten the inspection period for goods by regulatory authorities from 24 to 12 working hours and reduce the period for the decision-making for goods that are imported to Ukraine from 24 to 4 hours. KYIV. 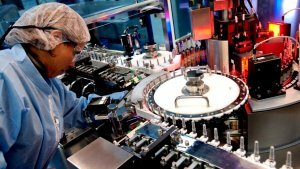 Aug 31 (Interfax-Ukraine) – Public joint-stock company Farmak pharmaceutical company (Kyiv) does not plan to launch vaccine production in the near term, Farmak CEO Augustin Dubnicka has said. “Farmak does not plan to develop these projects in the near future,” he said in an interview with Interfax-Ukraine. “From our side, as a national producer, it would be more rational to create a proposal in those areas where we are competent, for example, endocrinology,” he said. “Earlier, Farmak planned to open this production facility. It will be possible to complete the implementation of these plans in close cooperation with some foreign partners that specialize in these preparations,” he said. Farmak is the largest pharmaceutical company in Ukraine. The ultimate beneficiary of the company is Filia Zhebrivska. KYIV. Aug 31 (Interfax-Ukraine) – Around 300 companies from 11 countries will exhibit own projects in the defense and security sector at the 14th international exhibition Arms and Security 2017 to he held in Kyiv on October 10 through October 13. 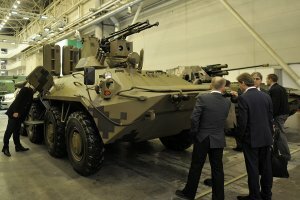 The organizing committee of the exhibition told Interfax-Ukraine on Wednesday that along with Ukrainian companies, the United States, Turkey, Poland, Pakistan, Germany, France, Italy, Israel, China and the United Arab Emirates have already confirmed their participation in the Kyiv’s Arms and Security-2017. At the same time, Turkey, Poland and Pakistan plan to present national exhibits at the show. Among the foreign exhibitors are Turkish Aselsan and Roketsan, U.S. Night Vision Devices, Chinese BACEI, French Rockwell Collins France and Ouvry, Polish PGZ and WB Electronics, Israeli Opgal Optronic Industries, Italian CMS Industries, German Rohde & Shwarz, Pakistani DEPO and UAE’s International Armored Group. The defense enterprises of the public and private segments of the defense industry, including enterprises of the Ukroboronprom State Concern and the League of Defense Enterprises of Ukraine, as well as industry flagships well-known on the global market, including AvtoKrAZ, Kuznia na Rybalskom, TASKO Corporation, Arsenal and Pivdenne Design Bureau (Yuzhnoye) will present the capabilities of the Ukrainian defense industry complex at the Arms and Security 2017. According to the organizing committee, the main focus of the exhibition reflects the challenges facing the Ukrainian defense industry in the conditions of long-term challenges of the country’s defense capability to ensure large-scale rearmament of the Armed Forces and the development of the Ukrainian defense market, the increase international military cooperation, the expansion of the presence of Ukrainian defense companies in the global arms market and the introduction of NATO standards in production of defense goods. KYIV. Aug 31 (Interfax-Ukraine) – President of the U.S. Overseas Private Investment Corporation (OPIC) Ray Washburne has stated the company intends to support the project of building wind power plants in Zaporizhia region for $400 million. “Another agreement, in the issue of which we are becoming closer to signing. This is EuroCape Wind Farm I, the amount of which is $400 million,” he said during a meeting with Ukrainian Prime Minister Volodymyr Groysman in Kyiv. 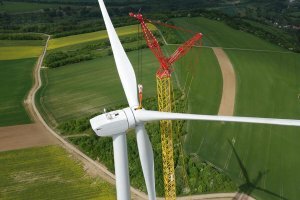 As reported, EuroCape Ukraine I LLC has coordinated the issues of all debt and equity investments for building the first stage of a wind farm with a total design capacity of 500 MW in Zaporizhia region, plans to formalize its financing until December 31, 2017, director of the operator Peter Justin O’Brien said. EuroCape Ukraine I is registered in Nicosia (Cyprus).